When a retired Triad boss faces threats to his legitimate business from a property development scheme backed by a rival gang, he has no choice but to dive back into the violent Hong Kong underworld one last time. Reunited with his former gang associates, they must settle old scores together and fight for what's theirs - can loyalty and honour still win the day? 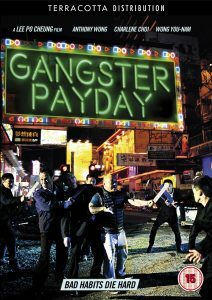 A homage to the Hong Kong crime cinema of the 90s that shaped the region's identity and influenced the likes of Quentin Tarantino - Gangster Pay Day is a heart felt tribute to the city and its continuous changes as it faces gentrification and increasing influence of China.